Has Hyundai built a genuine hot hatch? Absolutely. That was easy, wasn’t it? Perhaps I’d better explain a little further. The Hyundai i30 N is exactly the car its maker needs it to be. It’s harder and sharper than I expected, and establishes the N brand as both surprisingly sporting and assertive. What, Honda Civic Type R focused? Not far off. But let’s not get ahead of ourselves. Here’s some background and detail. 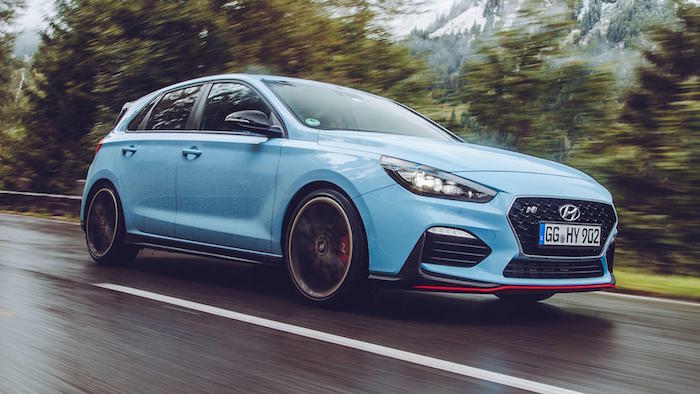 The i30 N is just the start for Hyundai’s N Performance sub-brand. Other models will be along in due course. But they’ll be following in the footsteps of this one, which means the i30 N is responsible for setting the tone for all sporting Hyundais. So it needs to be right. And what about the car? 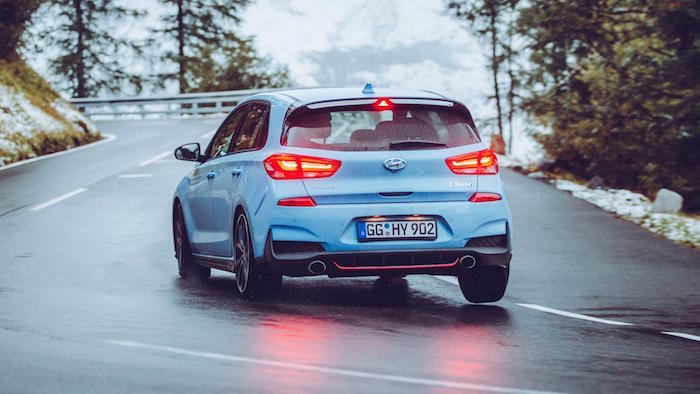 The standard i30 has been thoroughly reworked, even down to extra strengthening added to both body and chassis structure. This gives the McPherson strut front and multi-link rear suspension a strong platform to brace against. 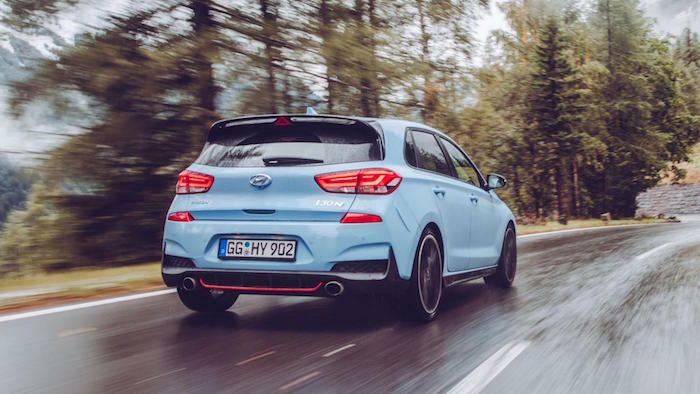 The four cylinder, 2.0-litre turbo engine is taken from elsewhere in Hyundai’s line-up, but has been heavily reworked to the point it now develops 247bhp. It’s got the component line-up we actually want, but so seldom get: an actual round steering wheel, an actual manual handbrake, an actual manual gearbox (there’s no auto option), individually configurable settings so you’re not forced to have hard suspension when all you want is the more responsive engine and parpy exhaust (are you listening, Ford and Honda?). There’s more too. 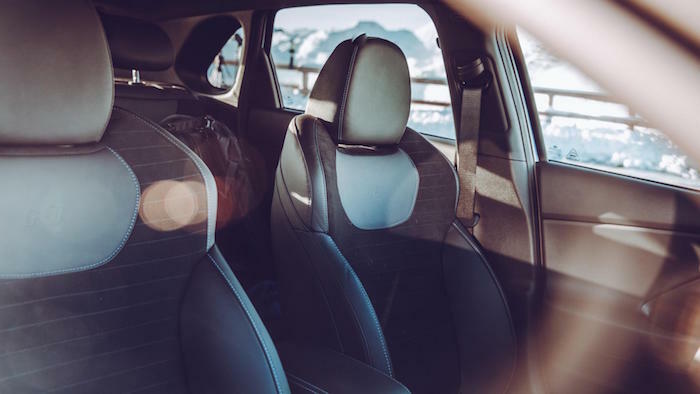 You’re not penalised with a lofty chair if you opt for electric seats, as Hyundai worked hard to get the hip point exactly the same in both. With the stability control ‘off’ means off, plus it has rev-matching downchanges, but it can be disabled if you want to have a go at heel-and-toe yourself. None of this comes about by accident – the engineers and designers made conscious choices on all of the above. As you might be able to tell from the pictures, we took it on a bit of an adventure, which you’ll be able to read about in due course. But as I mentioned at the start, it’s a proper hot hatch, something you’ll actually really enjoy driving. The first thing you notice is how stiff it is. Stiff enough that I suspect it’ll have difficulty coping with your average UK B-road. And that’s with the suspension in Normal. Hyundai admits that you’d use Sport rather than Sport+ on the Nurburgring. Incidentally, they won’t be publishing a lap time as they say this isn’t what this car is about and, with ‘only’ 271bhp, it’s not going to be that fast. Instead they set the car up to be fun. And they’ve been successful. 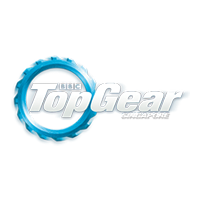 All the controls, from clutch and gearbox to steering and brakes are free from slop and work meatily. The brakes are a particular highlight. They do eventually start to fade (a couple of laps of the ‘Ring might have been involved), but before that happens there’s superb bite at the top of the travel and plenty of power. The steering doesn’t have much natural feel (it’s electrically assisted), so all you can hope is that it’s well weighted and accurate. It is, so all’s good. How’s the engine? Besides being less powerful than rivals? The engine itself is good though. 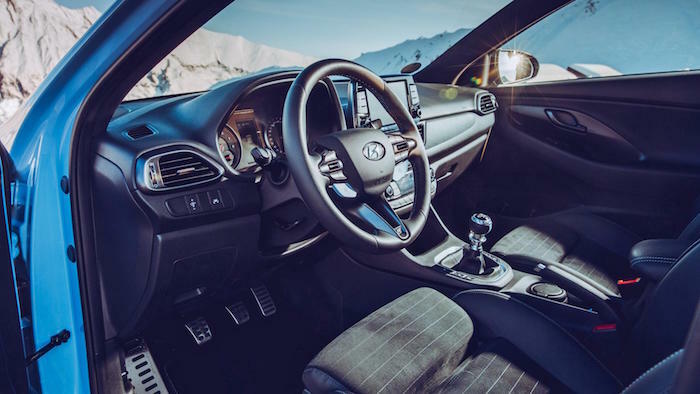 Stick it in Sport+ mode (you do this via the touchscreen infotainment system where you can configure seven separate dynamic settings: suspension, steering, ESC, rev match, engine, differential and exhaust), and it has an anti-lag system to keep the turbo spinning when you lift off. So it responds almost instantly and packs enough of a punch to keep the front axle busy. The 0-100km/h claim is 6.1secs, and it pulls healthily across the rev range. It doesn’t rev massively high or sound incredibly characterful, but few hot hatches do these days. Its party trick is an overrun ba-ba-ba-baa from the exhaust when you lift off above 4,000rpm. It’s fun to start with, but you soon realise it’s exactly the same every time. Most rivals’ sports exhaust setups are similarly choreographed, though. Do you really think it’s too stiff? I think ‘very positive’ is probably a better description. The damping is impressive, but it has to operate over a short range because there’s so little roll and body movement. Around corners it will lift an inside rear wheel for instance. I couldn’t make the Civic do that. If you’re worried this adversely affects its cruising ability, don’t be. Cabin insulation is good, and it knocks out motorway miles perfectly happily. Overall I think it rides better than the Focus RS because it doesn’t suffer from the same vertical bounce – it’s similarly stiff, but better controlled. Back to the handling: it’s sharp into corners, it grips hard and the steering is communicative enough to give you confidence, but it’s the way the car is balanced that really struck me. It’s happy to work both axles evenly, so if you lift slightly the car will tighten its line, if you chuck it into a corner hard, it’ll probably be the back end that lets go first. It’s a very evenly balanced car. The electronically controlled limited slip differential is very smoothly integrated so you only rarely notice it working – it doesn’t pull the steering wheel this way and that out of hairpins, but does deliver impressive, precisely distributed traction. In short, this does not feel like Hyundai’s first crack at a performance car. But then if it was rough around the edges its rivals would make mincemeat of it. 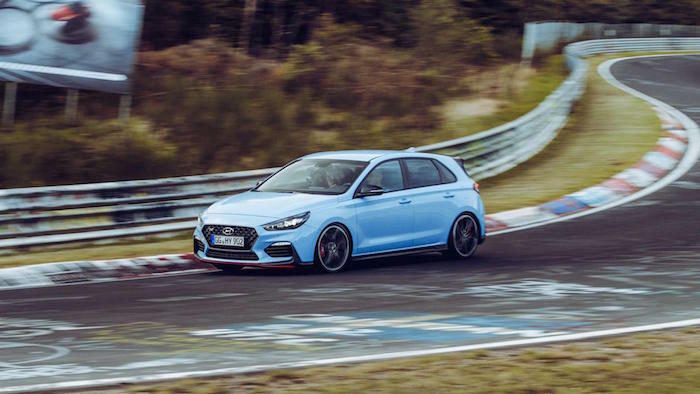 Because consider what Hyundai has chosen to do: not try to establish a beachhead in a small pool, but dive straight in with the big fish: Golf GTI, Focus RS, Civic Type R, Megane RS, Leon Cupra. A hot hatch was the only choice. But in amongst that lot where is the Hyundai i30 N going to find buyers? It’s not upmarket enough to get the socially aware out of a Golf GTI, while the Civic and Focus RS, and arguably the Megane RS too, sell to their tribal followers. The i30 N has to convince the floating hot hatch buyer, the sort of person who might be looking at a Leon Cupra or Peugeot 308 GTI. That’s not a big market. Similarly, I can’t see existing i30 owners upgrading. 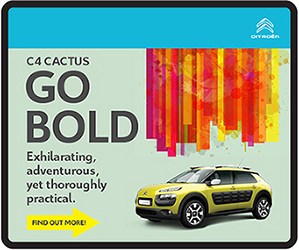 They’re more likely to aspire to a Tucson. At least it looks pretty good. If it were painted one of the other five colours that isn’t Performance Blue and this wasn’t the N Performance model, I’m not sure many people would notice it. The wheel-to-arch ratio is spot-on with the 19s, but the i30’s basic shape isn’t a rip-roarer. The path the aero treads is one of slick integration, too. There are neat vents inside the front arches to channel air down the flanks, cleaning up the flow for instance, and the overall aim isn’t for downforce, but just to reduce lift and even out the front-to-rear balance. Inside is a similarly mixed bag. Given its relatively aggressive road manners, I’d like more supportive, wraparound seats, but have no complaints about the overall driving position, the operation of any of the controls (the gearchange isn’t Type R precise, but it’s satisfying enough), the organisation of the switchgear, or the quantity of the selectable dynamic settings. 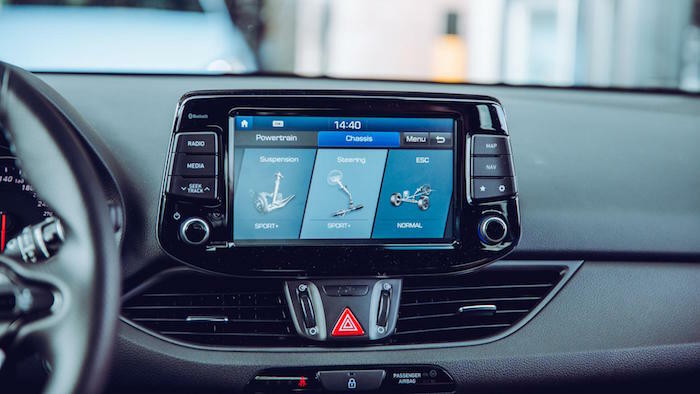 They’re buried in the touchscreen menus, but there are shortcuts on the steering wheel for you to switch between Eco, Normal, Sport, N and N Custom – the last of which is the one that allows you to individually tailor everything. After that, only the brittle plastics and plain layout do anything to undermine the i30 N.
It’s nuts really, because what Hyundai’s developed here is a very cohesive all-rounder. But so carefully developed has it been, so balanced are all its parameters that it arguably lacks a prominent USP, a character defect to lend it extra charisma. Ironically, more power would probably sort that out. But as it stands the i30 N is a massive success. It’s got an edge. It’s nothing like any other Hyundai, it’s at least as competent and engaging as the majority of the competition. 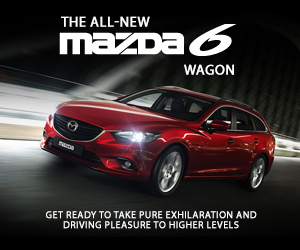 Drive it and you’ll be surprised how playful it is, how speed and suspension are so well matched, how it goes about its business with genuine enthusiasm. Well done N Performance: as an opening gambit, this is very convincing.